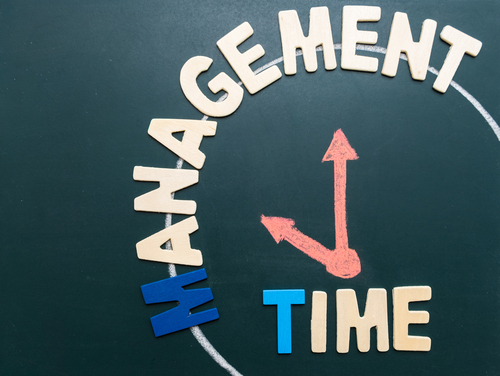 As an executive coach, I’ve reviewed the time logs of hundreds of senior managers and executives. In those logs, where leaders track their movements at 15-minute increments for two full weeks, the two biggest and most consistent time-wasters that great self-leaders avoid have jumped out from the page: (1) attending meetings and (2) writing/responding to emails. Does this sound familiar to you, too? Let’s explore each of these, one at a time. #1 Time-Waster: Meetings that Hijack Your Time. A survey conducted among 2,000 British employees highlighted that the average UK worker will attend 6,239 meetings during his/her career. Is that just a “British thing?” Not according to the time logs of my clients, who hail from over 60 nationalities and 70 industries. If attending meetings is one of your biggest time-robbers, too, never fear. There is something you can do about it. As a coach, I’m often asked to shadow execs in their workplace, usually in meetings. I sit there quietly observing so that I can provide feedback later about what I saw and heard. As I look around those meeting rooms, I sometimes pause to consider the amount of total salary that’s being spent by the organization to have all of those individuals in the same room at the same time. Can you imagine? If this is true for you, or if you find yourself in a meeting that doesn’t truly require your presence, pause and reflect: You may actually be doing a disservice to your organization by attending that meeting. Think about it: Every minute you spend during work hours is a company asset. Just like you wouldn’t misuse a company car or waste office equipment or materials, so you shouldn’t waste your limited time in meetings that don’t honestly need your talents and attention. Your duty is to use your time—the company’s asset—in the most effective way possible. The key is to get real about which meetings you honestly do and do not need to attend. That means saying “yes” only to meeting invitations where your presence is absolutely required and you can add value. How can you tell if a meeting is necessary or if it’s going to be a time-waster? First, ask for an agenda in advance that clearly states the purpose/objective of the meeting. Once you get the agenda, here are some tips to determine if your attendance is truly required, as well as ways to say “no,” how to handle difficult meetings, and how to effectively plan your own meetings. Will it truly benefit the company if you attend? If so, how? Will it benefit you as a leader if you attend? Perhaps the meeting is to cover a topic you know little about, but you’d like to improve your understanding. Or perhaps it’s a meeting that will be attended by much higher senior-level leaders, and you want to observe how they conduct themselves. Would attending the meeting be a possible means for you to strengthen important relationships, either with a particular person or with a specific group of people? Is it truly necessary for you to be there, or could you ask someone else to attend in your place? For example, could this meeting be a good learning and development opportunity for one of your direct reports? Do you need to attend the entire meeting or, after review of the agenda, is there only a portion of the meeting that’s truly relevant to you? This is a consistent problem shared by many of my clients. They sit through an entire 3-hour meeting even though they were only needed for, say, 30 minutes. Could you attend the meeting via video or by phone? Just be careful: It’s easy to get distracted with other tasks, such as emails, when you aren’t physically present at a meeting. Let’s say you’ve reviewed the agenda and have determined that it really isn’t necessary for you to attend, neither for the company nor for you personally. How do you get out of attending the meeting gracefully and still preserve positive relationships with the organizers? Sometimes, you simply have to say “no” with calm confidence. Let the meeting planner know that you appreciate being invited but that you feel your attendance isn’t necessary. Then, either offer to read a summary of the meeting and follow up with any comments you might have, or have someone else attend in your place. For meetings you do decide to attend, schedule a 10-15 minute buffer before and after. Use the time before the meeting to ask yourself: What is the objective of this meeting? Why am I attending? What do I personally want to achieve by attending? What does success look like for me at the end of the meeting? Then, after the meeting, ask yourself: What were the one, two, or three key takeaways from that meeting? What are the implications for my team or function? What are the next steps I’ve committed to, if any, and who needs to be aware of them? #2 Time-Waster: Emails—The Constant Interruption. Since our phones and computers typically make a sound or vibrate every time we get an email, it can be tempting to interrupt what we’re doing to take a look. But unless you’re waiting for specific important inbox material, this is a major distraction and time-waster. Each time you interrupt your concentration, you have to take a few seconds or even minutes to regain the same level of focus on what you were doing before. The idea that we can “multi-task” is a myth. Indeed, researchers have demonstrated that our brains are simply not capable of doing two things at once. All we can truly do is what is called “rapid refocus”—quickly shift from one focal point to another—and doing so not only wastes time, but tires the brain, too. The outcome? We are more likely to make more mistakes and be burnt out at the end of the day. Dedicate focused time for reading, writing, and responding to emails. 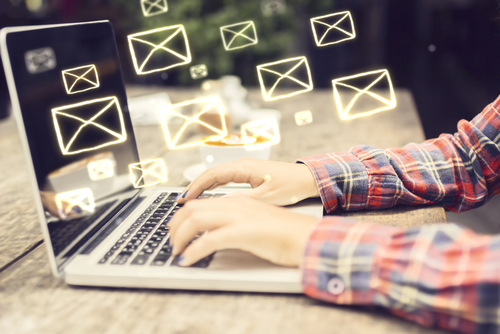 Give yourself specific guidelines for email management, and stick to it. For example, let your staff know that you’ll be working on email without interruption from, say, 8:30-9:15 every morning and from 3:00-4:00 every afternoon. If you plan for this focus and make it an ongoing habit, you’ll be amazed by how much you can accomplish. Get voice-activated software, and dictate your emails by voice instead of typing them. I use software called Dragon Naturally Speaking, but there is other voice-activated software to choose from, too. Be sure to program it to understand your accent and your specific enunciation patterns. Once you do, you may become addicted to it like me, especially if you aren’t a particularly speedy typist. I’ve seen this type of software save hours per week for many of my coaching clients as well. How much time do you think you can save by following these two key tips? Want to learn more? My book, Leading YOU™: The power of Self-Leadership to build your executive brand and drive career success, includes several more valuable time and meeting management techniques for self-leadership success. This entry was posted on Thursday, February 23rd, 2017 and is filed under Coaching, Leadership, Personal Branding, Time Management. « Self-Leadership Challenge #1: What Does it Mean to Be a Great “Self-Leader”?